New Hubbardston Library Web Site! Please take a look at hubbardstonlibrary.org! Hubbardston Genealogy 1780-1930 is on sale at the HAHS Museum Room, The Celtic Path and by e-mail mjh655@pathwaynet.com for $29.95. Hubbardston Heritage Recipe Collection and Lore is on sale at the HAHS Museum Room, The Celtic Path, Gage's Farm Market and by e-mail mjh655@pathwaynet.com for $14.95. If you purchase both books together, the sale price for the two books is $30. Makes a great gift! From Cathy Strickland: Patrick Beahan and Margaret Ryan - the parents of Michael Beahan (married to Margaret Egan) and grandparents to Patrick Leonard Beahan. P.L. Beahan (married to Marjorie Haight) was father of Marie Beahan, Msgr. Hugh Michael Beahan, Fred Beahan and Robert Beahan, all of Grand Rapids. Fred Beahan was my dad. 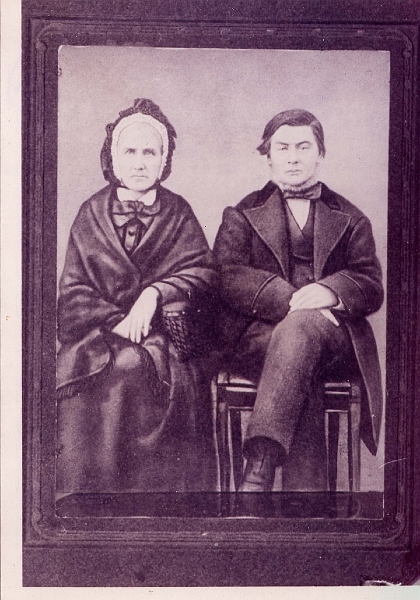 Thomas and Margaret came over from Ireland via New York and settled in Hubbardston in the late 1800s. They are also the parents of Timothy Beahan (married to Margaret Hogan) a farmer in Hubbardston. Another brother to Patrick and Timothy was Matthew.